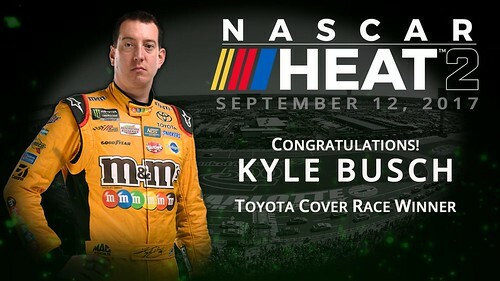 After finishing in the top two of the fan cover vote along with Martin Truex Jr., Kyle Busch's strong finish at the 2017 Monster Energy NASCAR All-Star Race has landed him the cover of NASCAR Heat 2. Busch finished third overall, while Truex Jr. finished in 12th place. The driver with the best finish among the two would be awarded the cover.